Oracles, Prophets and Seers - Can You Divine a Difference? What’s the difference between oracles prophets and seers? Perhaps the most famous predictors of the future were the oracles at Delphi, thought to transmit prophecies from the gods while in a state of mental turmoil. Religious figures aside, seers of the future, like Nostradamus, were considered prophets, a distinction given to people claiming to have the ability to make predictions of what was to come. Edgar Cayce was a well-known seer in the first half of the twentieth century. Cayce became famous answering questions people posed about their futures while he was in a hypnotic trance. Call them oracles, prophets or seers, the bottom line is the same: they all refer to people who divine the future, rendering the words synonyms. In The Revenant, Morgan Dappleford, is nicknamed “The Seer”. 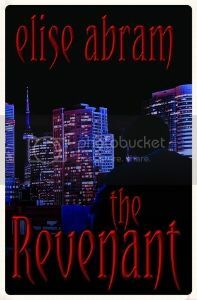 Morgan discovers his ability to see the future when he dreams of a stable burning down. Though he tries to warn the groom, he is unsuccessful in preventing his death. He records his dreams in a bedside journal which he shares with Zulu the Revenant and Kat the Empath in an attempt to save the people he sees perishing in his nightmares. Teacher of English and Computer Studies by day, wife and mother by night and author whenever she can steal some time, Elise Abram is the proud author of Phase Shift, The Mummy Wore Combat Boots, and Throwaway Child, available on Amazon and KoboBooks. She pens a blog about literature, popular culture and the human condition whenever the muse moves her. 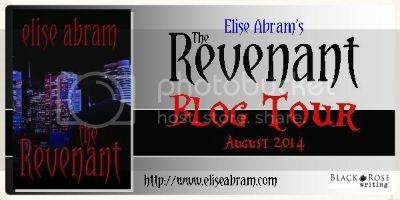 Elise's fourth book, a young adult paranormal thriller entitled The Revenant was released by Black Rose Writing in July 2014. Raised from the dead as a revenant more than a hundred years ago, Zulu possesses Spiderman’s stealth, Superman’s speed, and Batman’s keen intellect. 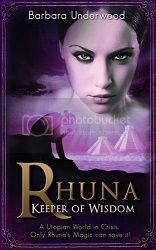 His only companion is Morgan the Seer, an old man cursed with longevity and the ability to see the future in his dreams. Zulu has spent the last century training with Morgan in order to save the people in his nightmares from certain and volent death. Branded a vigilante by the Media, Zulu must live his life in the shadows, travelling by night or in the city’s underground unless his quest demands otherwise. And now, enter the tour wide giveaway!